In this May 18, 2017 file photo, traders and financial professionals work on the floor of the New York Stock Exchange (NYSE) following the opening bell in New York City. Moments after Donald Trump Jr. tweeted the email exchange that led to his meeting with a Russian attorney the Dow fell 100 points Tuesday, CNBC reported. 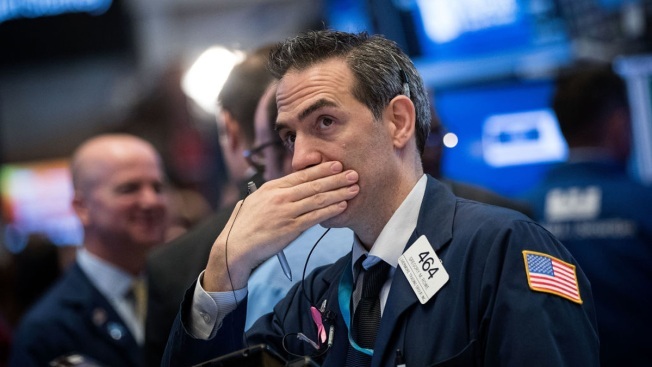 Stocks initially fell on concerns the Russia controversy that has plagued Donald Trump's presidency would worsen, but major indexes recovered later in the day. By 2:01 p.m. the Dow was posting slight gains. "People just got spooked by that. Selling begot more selling," said Jeremy Klein, chief market strategist at FBN Securities. "This isn't anything we didn't know."